Greg was great! Very accommodating and made sure tour went well! Wonderful experience with Greg! Very personable, knowledgeable and passionate about his home town of Melbourne. Highly recommend! TOUR GUIDE RESPONSE: Hi Don Thanks for the kind feedback. I had a great time showing you Marvelous Melbourne. Safe travels! The trip provides the flexibility that we are looking for. Our local guide Greg knows the route well and managed the time perefectly throughout the day. TOUR GUIDE RESPONSE: Thanks Jenny, it was a great day and I am glad you enjoyed the stunning scenery, and could do the helicopter trip you were so keen to do. We had a wondeful day! Great your guide!!! Greg is was a wonderful guide! Very knowledgeable, friendly, helpful. He loves his city and knows a lot about it. We highly recommend him and would call on him again if we are in the region. Greg just proves the reason that Tours by Locals is such a great company. He is a local that truly loves his city and country and does everything that he can to show you the best that the area has to offer. I know that one day is not a long time to see an area but Greg will show you more that you expect, he is excellent. Take this tour. TOUR GUIDE RESPONSE: Hi Dennis Thank you so much for your generous feedback. I love showing people the great sights of Melbourne and I also think that Tours By Locals is a great way to d see the best sights. Safe travels! An excellent guide. Informative, flexible. We covered all sightseeing views of Melbourne. Greg's tour of Melbourne was excellent. His enthusiasm for his city was contagious as he brought to life the special aspects of downtown Melbourne and some nearby suburbs. We especially enjoyed learning about the history of Melbourne, viewing the old and modern architecture, walking through the market place, and sharing coffee and lunch in sidewalk cafes. 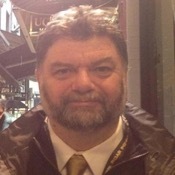 Greg's positive personality and knowledgeable communication made for a perfect introduction to charming Melbourne. TOUR GUIDE RESPONSE: Thank you. I love showing people around Marvellous Melbourne and I am glad you had the opportunity to experience a slice of it. Safe travels! TOUR GUIDE RESPONSE: Thanks Mary. The scenery on this tour is fantastic, and you had perfect weather to fully enjoy it. I loved showing you the sights of marvellous Melbourne. Thanks again to ToursByLocals and Greg in Melbourne. Greg certainly helped make our vacation very special! An absolutely perfect day with a most perfect guide. Greg loves Melbourne as much as he loves sharing it with its guests. He is one of the best guides we've come across - knowledgeable, accommodating, and most interesting (and interested!). In short, a true delight. If there were 6 stars, Greg was worth them all. Many thanks for a wonderful day, Greg! I give Greg a rating of 5 out of 5. He took us on two tours and was so good -- professional, knowledgeable and so much fun to be with. We had a great time both days and can't thank him enough for making our vacation so wonderful!! Greg is an excellent guide! Our tour took us past many interesting places in Melbourne. Greg is very knowledgeable and explains things very clearly. We loved seeing the market and some of the old building facades. He also helped us plan the rest of our limited time in Melbourne. We would strongly recommend Greg. Fantastic day in Melbourne with Greg. Spent the day looking and discussing historical sights and current affairs. This tour is great for anyone who is a first time visitor to Melbourne! We really enjoyed our time and hope to return to Melbourne again! TOUR GUIDE RESPONSE: Thank you! I really enjoyed my time with you guys as well, sharing the beautiful sights of Melbourne with you and also hearing all your fascinating stories. Safe travels! We all enjoyed our tour with Greg. He was very efficient and knowledgeable and able to make the tour extra interesting with the facts he told us about Melbourne and its surrounds. He was on time and nothing was a trouble to him. He considered our needs and our ages and didn't rush us at all to get to the next destination. We had a very nice day out and would recommend Greg and ToursByLocals to our friends. TOUR GUIDE RESPONSE: Thanks Deneice, I had a lovely day out with your group and really enjoyed myself too. Safe travels. Greg is a knowledgable guide who is passionate about his city. He took us to some hidden historic gems in Melbourne and shared interesting stories about the city. We enjoyed his warm company and quiet sense of humour. We would recommend Greg for a guide in Melbourne. TOUR GUIDE RESPONSE: Thanks Helen It was great to show you Marvellous Melbourne. TOURSBYLOCALS RESPONSE: ToursByLocals are committed to quality customer experiences and take all feedback seriously. We appreciate any learning opportunity to improve tour experiences and have attempted to clarify what could have been done to make this tour experience better; however, we have been unable to confirm any further feedback in this case. We toured with Gregg for three days and we would highly recommend him as a tour guide. He was very accommodating and especially concerned about one of our travelers who needed special care. TOUR GUIDE RESPONSE: Thanks Tom I am glad your group enjoyed the wonderful wineries and your close up encounter with a Koala. It was nice to finish the day with a chocolate treat! wonderful walking tour of Melbourne at night. Getting a great feel of the public buildings, the nightlife and great explanation of the history. We were 14 family members (age 14-75) and everybody enjoyed Greg and his commentary..
TOUR GUIDE RESPONSE: Melbourne certainly takes on a special feel at night and it was great that I could share some of it with your group! Thank you! due to limited time, we skipped the puffing billy and opted to spend the time in the sanctuary. This was an incredible day for the entire family. Our kids & grandkids ranged in age from 6 to 53 plus my wife $ I in our 70th). The display of Australian wildlife in a breathtaking surroundings is worth the hour plus drive in each direction. Greg is a great guide. Has good feel for the group's desire and helps to accommodate all the need. He is also very knowledgeable in Australian history, the wildlife. TOUR GUIDE RESPONSE: Thanks Reuven. It was great that I could show your group all the wonderful Australian animals at Healesville Sanctuary. The Close Up Encounter with the koalas that I arranged instead of Puffing Billy was a great hit with everyone! Greg was exceptional. 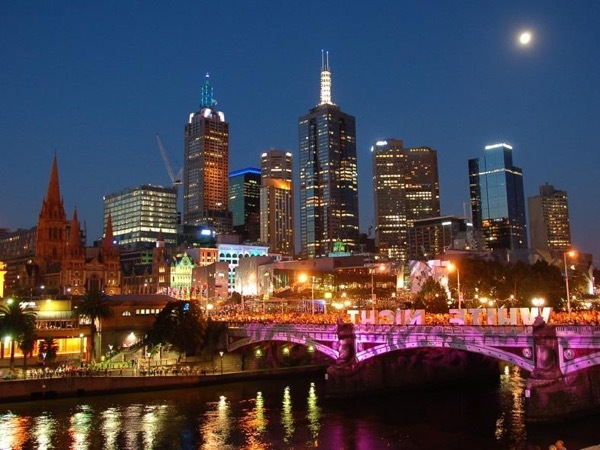 He is a true professional tour guide who is passionate about Melbourne and Victoria. I recommend him highly. 5 out of 5! TOUR GUIDE RESPONSE: Thanks Brian. It was great that I could share the beautiful scenery of Phillip Island with you and your family, and arrange front row seats for the Penguin Parade even though it was a "full house" that night. Safe travels! He was very knowledgeable and personable. He was also very accommodating and excited to show us all the beautiful sights along the way. We ate at some very nice and quaint restaurants. He even treated us to breakfast at our first stop. The restaurants we stopped at for lunch and dinner served delicious fare. I left a camera case in our van, and he was kind enough to deliver it to our hotel early the next morning. I would strongly recommend this tour with him as your guide. This is the third private tour we have done with Greg. He's absolutely a charm with my three girls and they are going to miss the light conversations they had with him during the three days. Puffing Billy was the highlight of this tour and his keenness to details has allowed us to choose one of the best wagons that gave us one of the best views of the front and back of the train as the train weaved its way through the forest. Should we be back to Melbourne, Greg is definitely our top pick for our guide! TOUR GUIDE RESPONSE: Esther Thank you for your kind comments. I had a great time showing you and your family around some of Victoria's beautiful scenery and attractions. And judging from your big smiles, I think I had "five" children enjoying the ride on Puffing Billy - it certainly is one on Melbourne's great treasures. I hope you enjoy the rest of your holiday as much and have a safe trip home Greg. TOUR GUIDE RESPONSE: Thank you Esther. It was a great day. Greg is a great guide who knows the area very well. We booked him for the Great Ocean Road day trip and he was able to suggest great spots for good photo shots. We even went koala hunting along the way which was a wonderful surprise for our three daughters! TOUR GUIDE RESPONSE: Thanks Esther! It was a delight to show you the beautiful scenery of the Great Ocean Road and to watch the excitement in your daughters' eyes when they spotted the koalas. would have liked the tour to start a little earlier. TOUR GUIDE RESPONSE: Thanks for your feedback and for allowing me to share the great experience with you. I note your comment about an earlier starting time and will amend the tour description to include this option, although because the Penguins do not arrive until sunset, the tour will always finish late into the evening, making it a long day already. We spent an amazing day touring the Great Ocean Road with our guide Greg. He was prompt, very knowledgeable, engaged and facilitated a wonderful day for us on TGOR. We learned a lot from Greg, saw many things we would not have found on our own and enjoyed his company immensely. We highly recommend Greg!! TOUR GUIDE RESPONSE: Thank you for your kind words and great company. It was a really enjoyable day with beautiful weather and scenery. I hope the rest of your trip went smoothly. Greg did the math and figured out when to pick us up to go to the airport. He then drove us there and helped with the car rental return. He went into the airport with us and made sure we got checked in and knew which gate to go to. We are used to getting the "dump and run" at the airport curb, but Greg went over and above what we thought we paid for. Very nice and amicable guy. You won't go wrong choosing him for anything you might need on your trip. Can't speak highly enough about Greg. 10 stars for him! We went to the "Penguin Parade" and Greg took care of everything. He drove us there, made sure we got the VIP tickets, and afterwards, he returned us to our resort. This was very much driving and he did all the driving as we were not used to driving on the opposite side of the road. (I'm sure he preferred driving, rather than trust my driving! )He even waited while we shopped the Penguin shop! A five star rating is not high enough. Greg picked us up at our resort in Kyneton, right on time, and drove us to the twelve apostles area on the great Ocean Road to begin our VERY LONG trip to Melbourne and beyond. We saw Koala's and all the beautiful sights along the trip. Greg also added many extras to our excursion to make it so much more enjoyable. Greg is great and we highly recommend anyone to use him! TOUR GUIDE RESPONSE: Thanks for your feedback. I agree the Great Ocean Road is a bit of a marathon but it is also such a magical experience, so I am glad you enjoyed it. I think the adjustments we made on the way show the benefits of a private tour over a coach tour, as we could modify the tour to meet your specific needs and pace. My lovely wife, Linda, and myself couldn't have asked for a better guide! He did EXACTLY what we paid for and went overboard on little extras we hadn't counted on. We will definitely use Greg again when we, or other family members, return to the Melbourne area! TOUR GUIDE RESPONSE: Thank you! I really enjoyed showing you some of the special sights of Melbourne and the surrounding countryside on the way. I am glad you enjoyed the experience. This was the first of many interactions with Greg. We have found him to be fun and very interesting. Very attentive to our needs. He has offered much good advise in trying to make our trip more enjoyable. TOUR GUIDE RESPONSE: Thank you Larry and Linda. I am hoping I can show you even more of this wonderful country over the next few days on our subsequent tours. Great comprehensive tour of Melbourne! One of the best we've ever taken. Not only did we learn a lot about the city, but saw some sights we would have missed on our own even with a guidebook. Greg gave us a lot of interesting facts, but also showed us some really fun places like Victoria Market and the wonderful shopping arcades. Would highly recommend this tour for anyone who wants to see the 'real' city instead of just the touristy areas. An A+ tour with an A+ guide. TOUR GUIDE RESPONSE: Thanks Donna. I think that Melbourne is a wonderful city to explore by foot and by tram, and I am glad you enjoyed some of the special places I could show you. Given your interest in graffiti, I am particularly happy that you could see where Banksy's "Little Diver" was painted before it was cruelly vandalized and destroyed in 2008. I hope you enjoyed the rest of your stay in Marvelous Melbourne. Greg did a great job of introducing us to Melbourne. Gave us a great appreciation for the history of Melbourne as well as modern day life in Melbourne. He is very easy to work with and makes you feel at home in his city. Greg is simply the best tour guide, perfect plans, great vehicle, on time everywhere! He is flexible as we changed the plans midway to do other things and he was always accommodating. The Healesville Sanctuary was fantastic. Greg took us to a wonderful spot for tea, the best scones in my life and lovely jam ! His tour included all the food and snacks, so it was great not to worry about it. If you ever go to Melbourne, Greg is your guy, he took splendid care of our group of 6! TOUR GUIDE RESPONSE: Thanks Laurie. I am glad your enjoyed yourselves. The close up encounters at Healesville Sanctuary are always great value. And yes the scones are great too! Wonderful guide, great vehicle, delivered everything as promised, full of details, proud of his country! Greg was fantastic for our group of 6, lovely and breathtaking scenery and stops! If you have the time, this is a must do tour! Booked him for 2 full days- absolutely one of the best tours ever! TOUR GUIDE RESPONSE: Laurie (and team) I had a great time showing your group around and really enjoyed doing it. You were all such great company, and I wish you could have stayed longer in Melbourne as there is so much more I could have showed you. I hope you cruise just keeps on getting better. This was a long tour and Greg did a great job. He is very knowledge and personable and was able to work a great tour and still return us to Melbourne at a reasonable time. This is a long tour but Greg made it perfect. Thanks Greg! Greg was fantastic, he could not have been better. His knowledge of Melbourne and his historic perspective were exactly what we wanted and appreciated. We would recommend Greg to any one who wants a true walking tour. Thanks Greg! TOUR GUIDE RESPONSE: Thanks for the great feedback John. I had a great time showing you around Marvellous Melbourne! TOUR GUIDE RESPONSE: Thank you! It was a great trip, and I am glad you enjoyed it. The koalas and penguins are always great attractions at Phillip Island, and I am glad you also enjoyed the Chocolate Factory. TOUR GUIDE RESPONSE: Thanks Anastasia. I hope you had a great time. It was lucky you were able to see both an echidna and a koala in the wild as well as the beautiful scenery of the Great Ocean Road. TOUR GUIDE RESPONSE: I really enjoyed showing Elizabeth and Nordel around Marvelous Melbourne. Thanks for the kind comments and enjoy the rest of your adventure! Great tour and guide and the use of the trams made it special. TOUR GUIDE RESPONSE: Thanks Jim. Glad you enjoyed Marvellous Melbourne! Greg was a great guide and using the tram was easy (picked us up at the cruise ship...and so much fun! Greg brought us places that the cruise ship tours did not go to. We explored colorful alleyways and interiors of buildings; at tea & lunch in 2 great restaurants. Greg also adapted our tour for us to go to St. Kilda's beach and we had a snack along the strip.. wonderful ambiance! the tour was great and we LOVE GREG!! TOUR GUIDE RESPONSE: Thanks Michael. I really enjoyed showing your group around Melbourne, I am very proud of the city. TOUR GUIDE RESPONSE: Thanks Joe. It was great to share a bit of Melbourne with your group! TOUR GUIDE RESPONSE: Thanks. It was a great pleasure to show you the delights of Melbourne on such a beautiful day!